Did you ever contemplate where the energy that propels you over the soccer pitch, or allows you to reproduce and live life comes from? What about the explosive energy used by the jaguar to chase down it prey? I submit it's the energy of the "big bang". Like a giant rocket on the fourth of July, sparks flying, smaller explosions, and light streaming from all over. 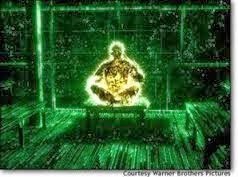 We use some of that energy and exist as the residual energy of the “big bang”. The "big bang" released massive amounts of energy, which formed into base elements, which formed stars that forged the rest of the elements in our universe. Those stars photons hit an assembly of elements that kick off photosynthesis and grow stuff that we eat (or in the case of bacon that I eat, pigs eat the stuff that grows). All of this filters down to the baby to have energy to cry, or the dad to propel himself to the pantry to get milk (and wine). All of the energy that propels us is the residual of something that happened billions of years ago. We are the universe that is still bubbling, changing, and cooling.